After the diggers left in May we proceeded to sow grass and clover. We were a bit worried there was going to be a period of drought just like the last time we had the guy in last year. Only after two months we were satisfied with the amount of greenery growing. First it looked like there were only some patches that were covered, but it looks like a proper field now. We also got a call from a farmer friend who knew someone who wanted to get rid of some fencing for a paddock. Dr Livingstone drove up to the house to take a look at it, but the negotiations broke down over the price. Some weeks later, somewhere in June, he called again. The people were desperate to get rid of the fencing. They were clearing it away and were going to have to find some storage space and they didn't want to have to move it twice. After re-negotiating the price and having agreed they would also install the fencing for us they came at the beginning of July and had it up by the end of the day. It looks absolutely stunning now it's finished. 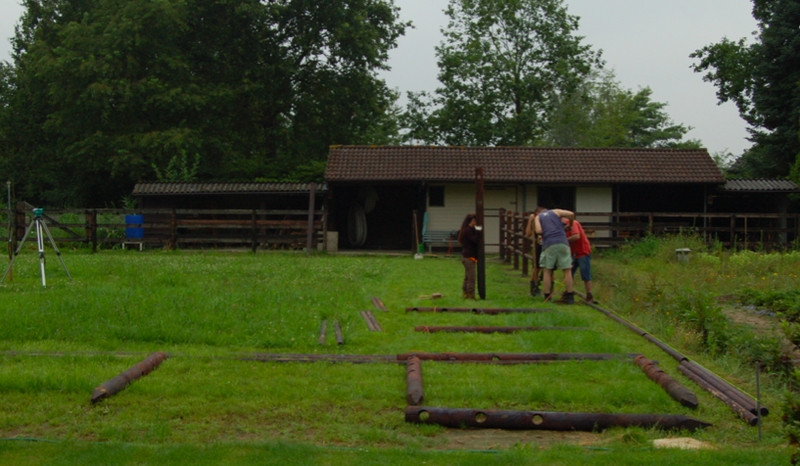 We just have to put some wheels on the gate for support and level the ground. And we also have to put the electric fencing stuff up, in case there's some wild beast that is going to meddle with it.